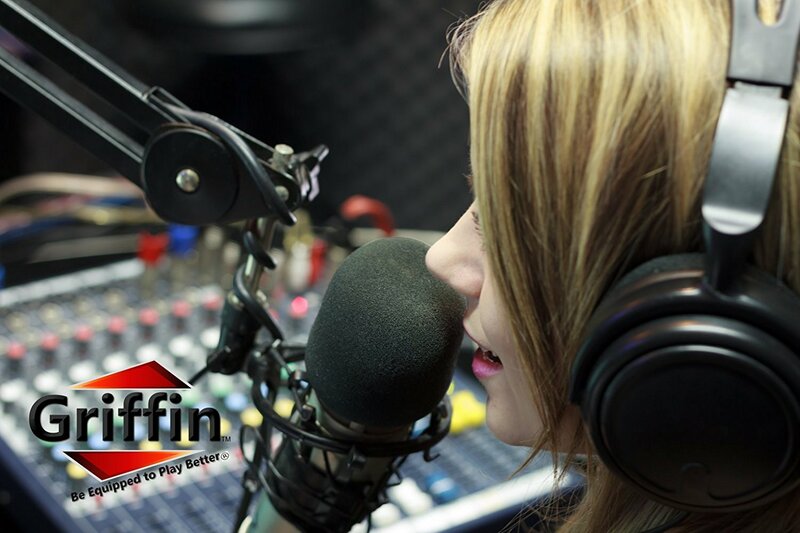 Entrust Your Audio Gear with the Best and House Your Expensive Studio Equipment in Total Safety! 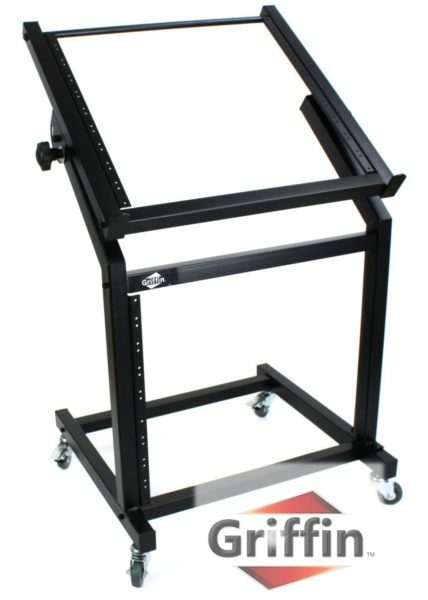 Are you looking for the highest quality, yet affordable rack mount stand to house your expensive studio gear? 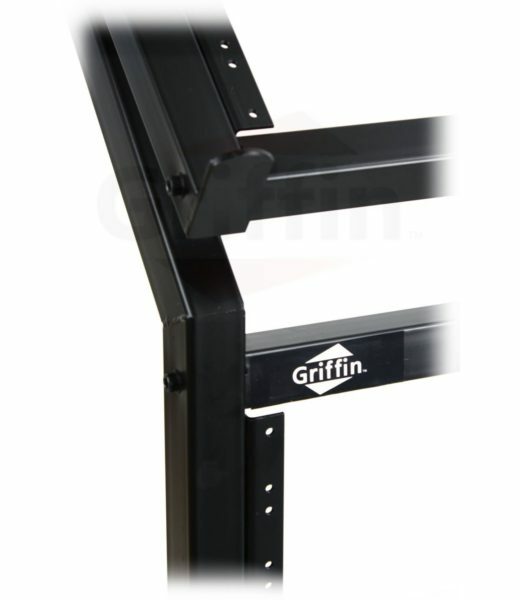 Then look no further than this deluxe 19U rolling rack mount stand by Griffin! 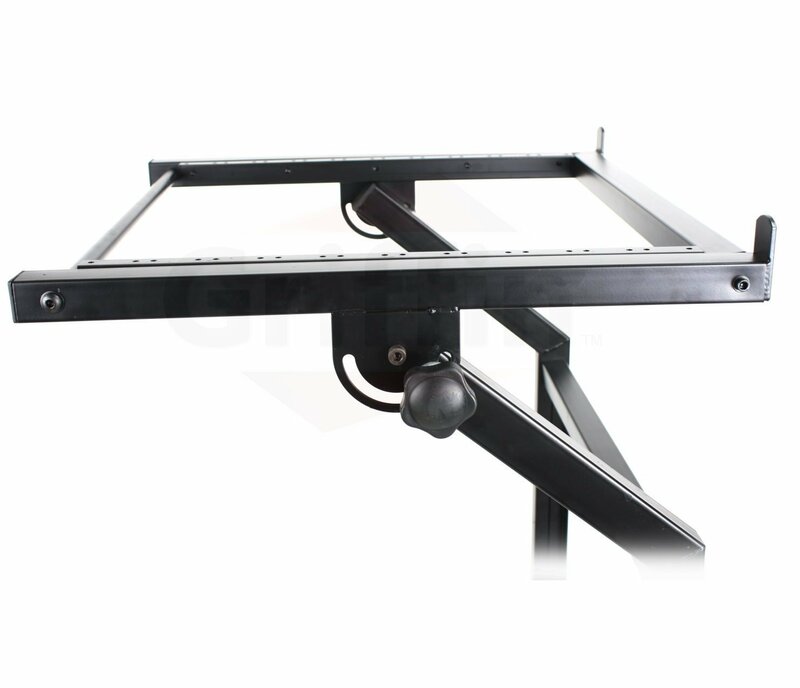 Whether for the studio, on stage or your next DJ club night, this heavy duty, all steel rack mount stand offers supreme versatility and outstanding performance! Keep Your Equipment Safe and Near! 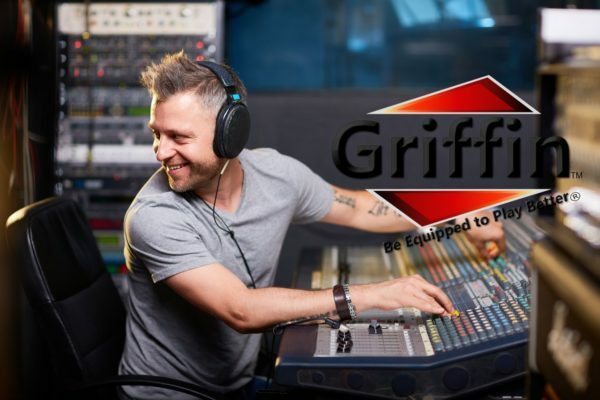 Designed to safely store your outboard gear, amplifiers or signal processors and keep them at arms length, this audio gear standing display case will hold any mixer measuring up to 36″ in width, 27″ in length and 3″ depth, or any unit that is otherwise not rack-mountable. 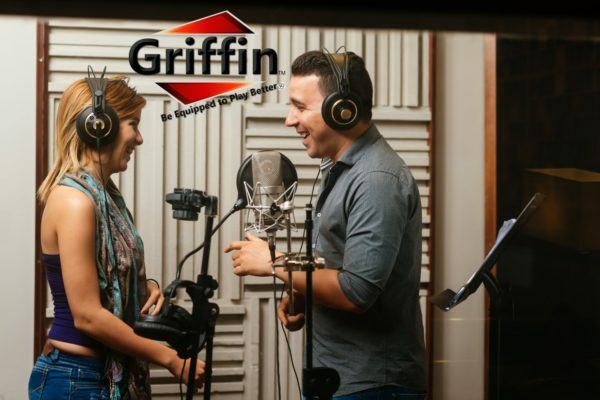 The durable caster wheels enhance mobility, while the convenient top platform allows you to adjust the angle for better visibility and comfort, making this stand an excellent choice for professional performers or audio technicians. 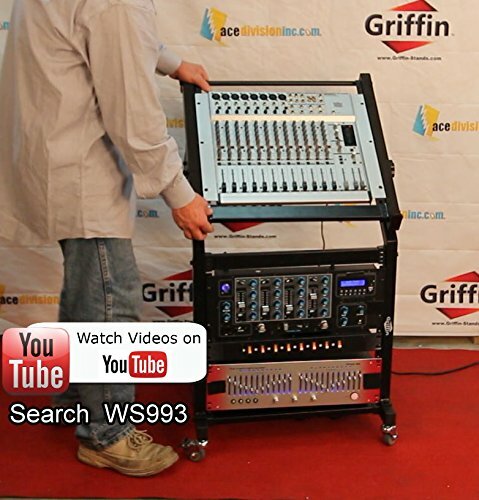 Lip height above top mixer platform: 1″ ?  Backed by a hassle-free money back guarantee, you have nothing to lose! Click on the Add to Carton Button to Place Your Order Now! KEEP YOUR AUDIO GEAR AT ARM’S LENGTH: Store all your outboard gear, amplifiers or signal processors and keep them within easy reach of your auto locator or studio mixer with the help of this heavy duty, all steel 19U rolling rack mount stand. Its highly versatile design gives you plenty of options to help you arrange your DJ or stage gear according to your needs. Equipped with 4 durable, smooth gliding caster wheels (two are lockable), it is easy to move around safely and effortlessly. ADJUST THE ANGLE FOR MAXIMUM VISIBILITY: The top mixer platform features 10U mounts and is designed to accommodate any mixer measuring up to 36″ in width, 27″ in length and 3″ depth, or any unit that is oversized or otherwise not easily rack-mountable (up to 175 pounds without casters). What is more, the special knobs on each side of the platform allow you to adjust the angle according to your desire, choosing your preferred position: Entirely flat or slanted to allow for higher visibility. 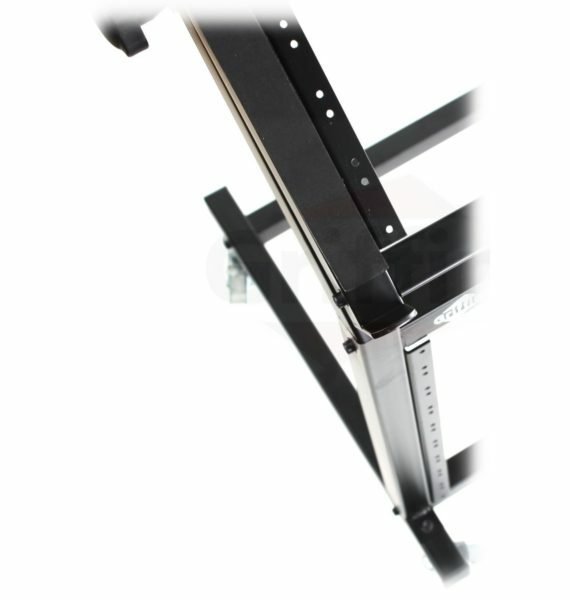 SET UP EASILY: The bottom rack mount features 9U vertical, American standard sized rack mount holes that will easily fit all standard studio rack gear. Included in the pack you will also find a set of 20 standard rack screws, so you can save yourself from last minute trips to the hardware store! The beautiful black finish gives this DJ standing display case a sleek, professional look that is hard to beat. 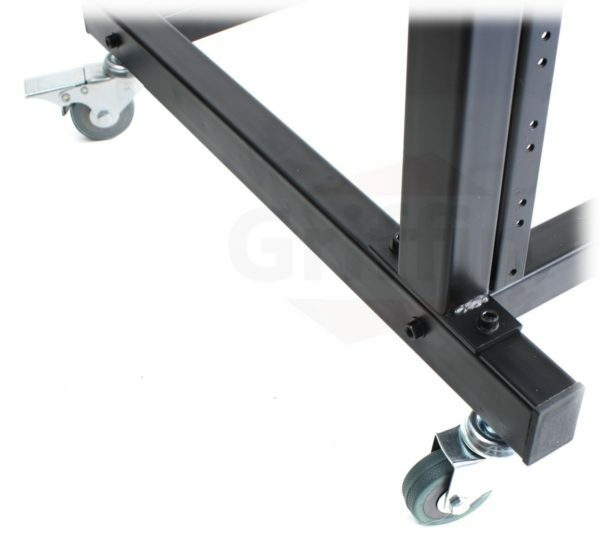 GET IT WITH PEACE OF MIND: Order your premium quality, 19U rolling rack mount stand with peace of mind, knowing that it is backed by a complete piece of mind 1 Year full factory warranty which is included with all new purchases. ! With nothing to lose, order yours today and equip your studio with the best!